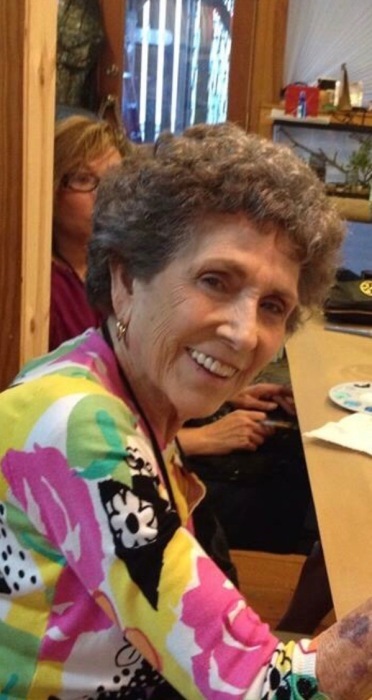 Mary Boan Jacobs, 87, died Sunday, March 31, 2019. Born in Cheraw, SC she was a daughter of the late Ira and Mattie Board Boan. She was the widow of William “Bill” Arthur Jacobs. She was a member of First Presbyterian Church, Cheraw, SC. Surviving is her son, William Anthony “Tony” (Michelle Robitaille) Jacobs of Patrick, SC, daughters, Patricia “Pat” (Phillip) J. Robbins of Charlotte, NC, Mary J. “Mitzi” (Barry) Amerson of South Port, NC, grandchildren, Jacob Robbins, Seth Robbins, Leah Robbins Noe, great grandchildren, Sarah Kathryn Noe, Oliva Grace Noe, Sophia Grace Robbins and Eloise Loren Robbins. She was preceded in death by her parents and husband listed above, brothers, Howard Walker Boan, Ira Boan Jr., Paul Jerome Boan and a sister, Edele Boan Polson. Memorials to: Regency Southcare Hospice, 205 E Main St., Chesterfield, SC 29709 OR Thornwell Home for Children,302 S. Broad Street, Clinton, SC 29325. The family will receive friends 1:00 PM Wednesday, April 3, 2019 at Kiser Funeral Home. A funeral service will be held 2:00 PM Wednesday, April 3, 2019 at Kiser Funeral Home. A private committal service will be held after the service.